According to a recent study at Rice University, qualities mentioned in recommendation letters for women differ greatly from those for men, and those differences may be costing women jobs and promotions in academia and medicine. After reviewing 624 letters of recommendation for 194 applicants for eight junior faculty positions at a U.S. university, researchers found that letter writers conformed to traditional gender themes when describing candidates. Female candidates were described in more communal or social and emotive terms while male candidates were described in more agentic or active and assertive terms. The more social and emotive characteristics mentioned in the letters, the lower the evaluation of the candidate. Words in the social and emotive category included adjectives such as affectionate, helpful, kind, sympathetic, nurturing, tactful, and agreeable, and behaviors such as helping others, taking direction well and maintaining relationships. Assertive adjectives included words such as confident, aggressive, ambitious, dominant, forceful, independent, daring, outspoken and intellectual, and behaviors such as speaking assertively, influencing others and initiating tasks. According to Rice University professor Randi Martin who led the study, “the pipeline shortage of women in academia is a well-known and researched phenomenon, but this study is the first of its kind to examine the recommendation letter’s role in contributing to the disparity and evaluate it using inferential statistics and objective measures. This research suggests that women should pay attention to the role recommendation letters could play in the hiring decision and they should in turn create a proactive strategy to mitigate potential gender bias when submitting recommendation letters to hiring authorities. To take more control over the way your recommendations/references are perceived, try the following. 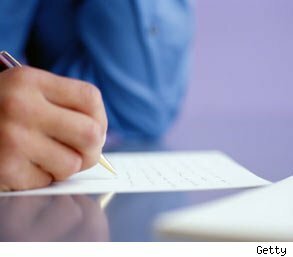 Offer to write your letter of recommendation for your boss. This practice allows you to position your experience and accomplishments in a more active and assertive manner and minimizes the chances that you won’t be perceived as a leader. Coach references to highlight your skills objectively. After you have interviewed for a job and you are told your references may be contacted, touch base with your references, let them know what position you have applied for, and coach them on how to provide a reference that best aligns you with the skills needed for the job and positions you as a strong leader and manager. Request endorsements on social networking and online identity sites. Build up your endorsements on such sites as LinkedIn and Naymz and ask your endorsers to use language that suggests assertiveness and the ability to influence others. By building a strong digital footprint and a portfolio of consistent and well-positioned endorsements, you may improve your chances of being seen in a positive light by decision makers and possibly off-set the impact of any references that suggest a gender stereotype. AOL Jobs offers the most comprehensive source of jobs through its partnership with CareerBuilder.com. AOLJobs is the place to go on the Internet for job alerts, employment information, career advice and job-seeking tools.